Revlon hit the mark with this color. It is perfect to wear for your Thanksgiving dinner party. Amber Ablaze reflects the season. Autumn leaves fall off the trees and decorate the city with beautiful colors. I specifically chose Amber Ablaze for this special holiday season because it evokes the spirit of celebration. 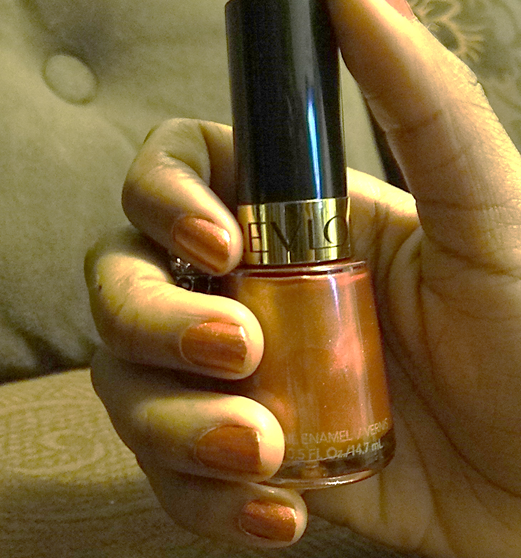 Be the toast of your Thanksgiving dinner party by wearing a nail color that is yummier than sweet potato pie!